This morning at 6:00am 1,212 young men and women began to filter into Alumni Hall at the Unites States Naval Academy for Induction Day. They come from every state in the Union as well as 13 countries. This morning, their young lives underwent a serious change as they began a 7 week summer program to indoctrinate them into the ways of the Naval Academy and the Navy. Many people will mis-name these young adults. They are not midshipmen. 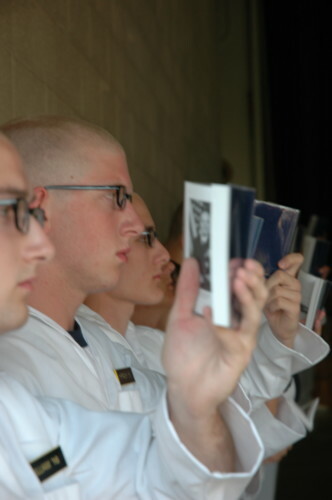 They are considered plebes during their first year at the Academy and will become a midshipman (by tradition) at the completion of the Herndon Climb in May 2013. Today, they start Plebe Summer which begins with a long check in process which includes administrative processing, medical checks, uniform fittings, equipment issue, and yes, the haircut. Once processed, the plebes are shipped to Bancroft Hall, their home for the next four years, to meet the rest of their company and to learn some of the finer points of protocol at the USNA. Once settled in, they will assemble in Tecumseh Court for the Induction Ceremony where they take their Oath of Office. 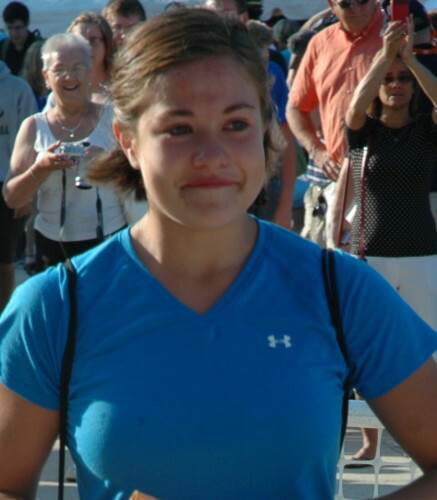 Plebe Summer is a very challenging period of seven weeks of basic training. During this time, they have no access to television, movies, the Internet, or music. They are allowed to make three phone calls during the summer. The pressure and rigor is deliberate. 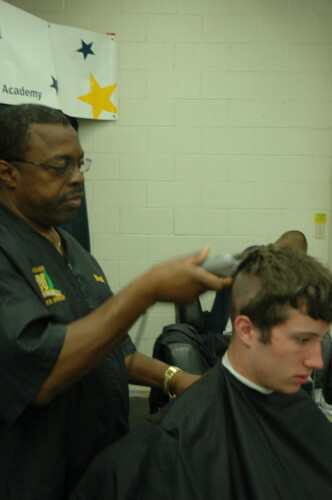 The 1st Class Midshipmen (Seniors) will be their mentors and guide them along the way–often times not so gently. These plebes are being trained for their first academic year at the Academy and the four years of challenges that lie ahead. During the summer, they will learn basic seamanship, navigation, sailing and handling yard patrol craft. In addition they also learn marksmanship in 9mm pistols and M-16 rifles. By the time summer is over, each plebe will have completed more than 3000 push-ups and sit-ups and run more than 100 miles. By the end of summer, they will be required to complete a Physical Readiness Test which includes (for males) 45 push-ups, 65 curl-ups, and a 1.5 mile run in under 10 minutes and 30 seconds. The female test requires 20 push-ups, and they must complete it within 12 minutes 40 seconds. Their days begin at 5:30am and continue unabated until lights out at 10:00pm. The only real free time in the schedule is from 9-10pm where they have mail call, letter writing, journal entries and study time. And rest assured, they are fed well. The average plebe consumes over 4,000 whopping calories per day! To view all of our photos from the induction process, please visit our gallery. Feel free to right click and download. We will be updating this post with more photos and a video shortly. Please check back. We also will be covering the actual Induction Ceremony this evening.